Every business is different and has different needs. A design consultancy will need office insurance that is different to an insurance brokers office. This is why at Prizm Solutions we believe the ‘one policy fits all’ approach is so wrong and why we go the extra mile to try to tailor an individual policy for every businesses specific office insurance requirements. We can provide bespoke insurance for pretty much any kind of business operating from office premises anywhere in Staffordshire, across the West Midlands and throughout the United Kingdom. What sort of office insurance do you need? As with most insurances there are some basic things that you will probably need and other sections of cover which can be added that are specific to your business. Businesses will usually want to cover their assets against loss or damage; and they’ll usually want to cover their earnings if they can’t trade. We always recommend that you cover your liabilities in case someone gets hurt or something gets damaged. Property Insurance – if the buildings are yours we can cover the Buildings and/or the Shop Front and/or Tenants Improvements (tenants improvements are whatever has been spent inside the office on the fabric of the building) plus the computers and the general contents of your office, usually against risks like fire, storm, flood, theft, vandalism, impact plus less common risks which could be earthquake, aircraft or lightning. Business Interruption (this kind of insurance is sometimes called loss of profits) – and covers you if something happens that results in damage to your property. If you want to you can also cover yourself against the profits you lost because you couldn’t trade. This can also cover you losing profits if the building next door burns down, if rats are found in your basement or a utility company damages the main power line into your premises. Money – to put it simply within reason this covers the theft of cash. It is vital that you take reasonable precautions like not leaving cash unattended in your car. This will not get you the understanding of your insurance company. Money insurance can also cover assault, so it pays a (small) benefit if someone got hurt up during a burglary. Glass – We think this is an important insurance because it covers the cost you may incur if you need to board up broken windows or replace windows that have been broken. This cover can also cover your signage and sanitary fittings should they get damaged. Liability – In our humble opinion we think this is the important aspect of office insurance. Because this covers Employers Liability (which protects you if a member of staff gets hurt and sues you); Public Liability (which protects you if someone who isn’t a member of staff gets hurt and sues you – this could be a client or a supplier tripping over a box) and Products Liability (You may not supply physical products, but you may have promotional items you supply that could potentially hurt someone). In the case of all liability claims you will need the right levels of cover in place as legal costs alone can hit six figures, not to mention any payment to the injured person. Depending upon your type of business and how you operate we can give you advice on the level of cover you need to include in your office insurance. Office insurance is NOT compulsory but if something bad happens in your office someone will need to pay for it. Do you want to pay? Or would you rather your insurance company pays? Whether you have an insurance policy in place or not accidents will happen. Most businesses have a realistic outlook and most businesses take out insurance to cover a host of eventualities. At Prizm Solutions we can arrange insurance cover for over 100 separate trades and professions, and just to prove it, here is (nearly a complete) A to Z of the kinds of businesses and organisations we can help. If you have a business in a category that is not on our list or if you can think of any type of business we’ve missed give us a ring and challenge us to see if we can provide cover! 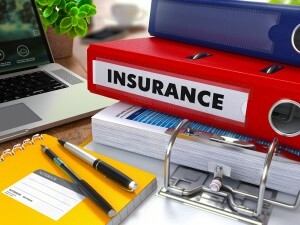 We’ve detailed above the basic sections of office insurance cover you will probably need, but depending upon the nature of your business you may want to enhance the basic insurance by adding cover for Goods in Transit Insurance, Terrorism Insurance, Theft by Employees Insurance (people also call this fraud) and Legal Expenses. Because we are totally flexible and we don’t have a one size fits all mentality, we will take time to understand what you do and how you do it. That’s how we make sure you only pay for insurance that you actually need. There are two other aspects of cover we arrange that can really help businesses. These are Professional Indemnity Insurance and Cyber Crime Insurance so please have a look at these specific pages on our website! Our business operates quite differently to most insurance brokers, for example in most cases we don’t take a commission from the insurance companies for placing office insurance business with them. As an alternative we like to work on a fee basis so that our earnings are transparent, which we feel is more ethical and you can be assured that our advice is based upon your needs not which insurance company pays the best commission. Contact us and ask us anything about any aspect of insurance.